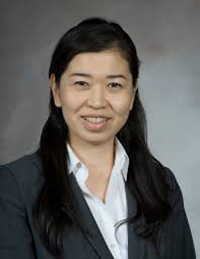 Dr. Kayo Fujimoto specializes in Social Network Analysis (SNA) and statistical methods applied to various fields in health behavior and prevention research, including adolescent substance use, HIV/STD risk transmission, and health disparities. She aims at developing and making accessible network models to non-specialist public health researchers and practitioners to maximize their utility and impact on current public health challenges. Dr. Fujimoto engages in more interdisciplinary research in combination with biological/molecular techniques, and engage in more practical sides to promote health by translating network findings into designing, implementing, and evaluating biomedical and behavioral interventions in the area of HIV/AIDS research for high-risk populations. 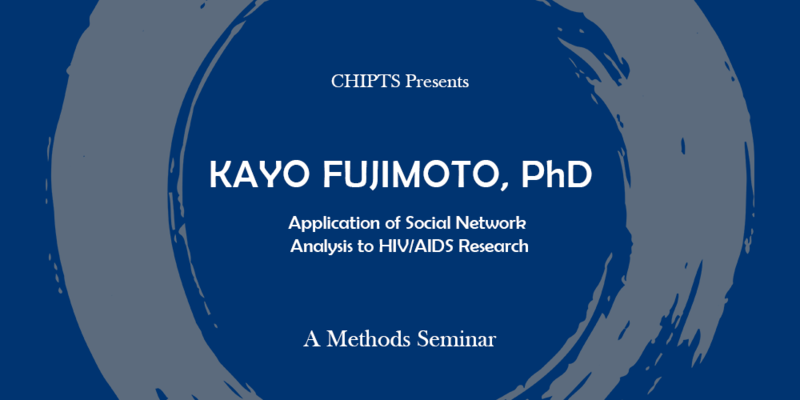 In her talk, Dr. Fujimoto will present introduction of social network analysis including basic concepts and methods, and how social network analysis has been used in the HIV/AIDS research and introduce current NIH funded projects. The CHIPTS’ Methods Core hosts a monthly seminar series, which are one-hour workshops on research and statistical methods. The seminars are open to HIV researchers, faculty, students, and community. To see previous seminars, check out the Methods Seminar tag or you can find seminar videos on our Youtube Channel! This series is hosted by the Center for HIV Identification, Prevention, and Treatment Services (CHIPTS) and made possible by funds from the National Institute of Mental Health (MH058107).